Dr. Rebecca (Roczen) Carley received her Bachelor’s degree in Diagnostic Ultrasound, attended medical school (and received the Samuel L. Kountz award for clinical excellence in surgery at graduation), and trained to be a general surgeon at State University of New York at Downstate Medical Center in Brooklyn. Dr. Carley also worked as an attending Emergency Room physician at Kings County Medical Center in Brooklyn (which is the primary training affiliate for Downstate students), and is the largest hospital (and busiest trauma center) in the United States. Dr. Carley left the practice of General Surgery and “allopathic” medicine after realizing that no one was actually being healed of their diseases, and she started researching “alternative” medicine while taking time off to start a family. After Dr. Carley’s only child was brain damaged as a result of inoculations he received, Dr. Carley learned how to reverse the damage with homeopathy and other natural supplements, and subsequently realized that inoculations of disease are causing the corruption in the immune system which leads to all autoimmune diseases and cancer. Dr. Carley has developed the Hippocrates Protocol which has successfully reversed all autoimmune diseases (including autism) and cancer in over 2,000 clients (including pets) over the past 9 years. 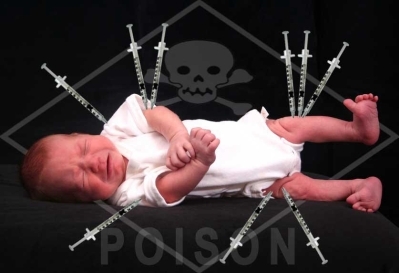 She has written the definitive paper explaining the mechanism whereby inoculations with disease are causing VIDS (Vaccine Induced Diseases), which has been featured in multiple publications all over the world and is available under the title “Inoculations: the True Weapons of Mass Destruction” on her website at www.drcarley.com. She has offered a $10,000 reward for any vaccine promoter to come on her internet radio show and refute the documents she has authored. No one has stepped forward to do so. Dr. Carley has been qualified in court as an expert witness in VIDS, Legal Abuse Syndrome, and child abuse. Dr. Carley no longer “practices medicine”, but instead teaches clients nationally and internationally how to reverse their diseases using the Hippocrates protocol she developed. She also goes into the hospital as a patient advocate for clients who are not satisfied with the care their loved ones are receiving. 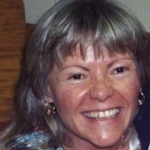 Besides being a guest on over 200 radio and television shows, for over 9 years Dr. Carley had her own weekly public access television show in Long Island, followed by a weekly internet radio show now on www.bbsradio.com on Thursdays at 8:30 PM EST, both entitled “What’s Ailing America” (Dr. Carley’s show on BBS radio is accessed by clicking the “Late Night” stream; archives are also available). Dr. Carley is also available to give talks to interested groups to teach what she has learned about vaccine induced diseases, and how they can be reversed.